Home / Archives / Series / Cinema Law / Cinema Law: Can I Fictionalize A Reality TV Idea Without Infringing Its Copyright? Q: I wrote a novel about a fictional reality TV dating show that bears similarities to The Bachelor and other similar shows. Should I consider altering my fictional TV dating show to be less similar to avoid infringing their copyright? If so, how different should it be? Have you ever wondered why you see so many different stories with the same concept? How many police procedurals and courtroom dramas and reality dating shows are there anyway? And why aren’t the producers all suing each other over it? Well some of them are, but that’s a story for another time. Most of them aren’t because in the United States, copyright law doesn’t protect ideas or concepts alone. 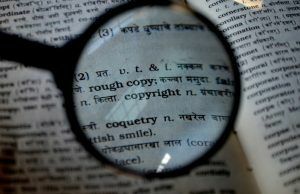 Section 102 (b) of the Copyright Act states that “[i]n no case does copyright protection for an original work of authorship extend to any idea, procedure, process, system, method of operation, concept, principle, or discovery, regardless of the form in which it is described.” Ideas can’t be copyrighted because there isn’t the requisite level of artistic expression behind them; in other words, not enough creative thought generally goes into an idea to set it apart from other similar ideas. After all, just saying “reality TV dating show where women compete to date a single bachelor” doesn’t really take a lot of time to come up with, and if it were protected, the producers of The Bachelor would have to contend with hundreds or thousands of lawsuits from other similar shows, going all the way back to the invention of television. Protecting a concept that simple would disincentivize creativity and innovation, which is a founding precept of intellectual property law. What kind of world would it be if we only had one police show, one romantic comedy, one adventure book? Instead, copyright law protects “original works of authorship fixed in any tangible medium of expression.” Although the idea behind “reality TV dating show” may not be protected under copyright law, the execution of that concept — the details of the story, characters, themes, and settings – is where copyright comes into play. How close is your execution of the idea to theirs? The answer to that question will determine whether your fictional version infringes their copyright. As a lawyer, I’m not just interested in the similarities between your work and the work that inspired it, however. I’m interested to know what sets it apart as well. If your fictional version closely mirrors the events, plotlines, and characters of a particular season of The Bachelor, yeah you might have some problems. 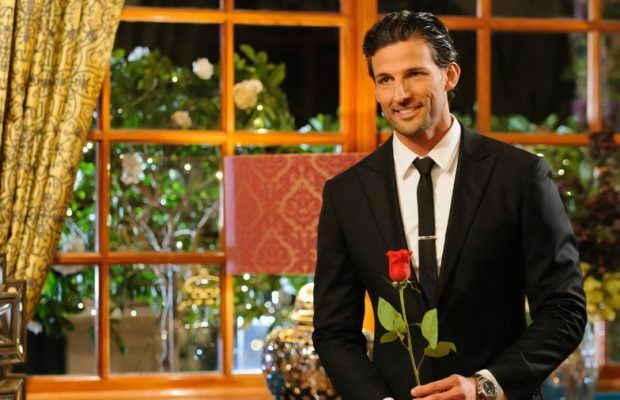 But if you’re using the concept of The Bachelor as a jumping off point to tell a different story, that changes things from a legal perspective. And that means fair use might come into play. To determine if fair use applies (i.e., that you can use their work without permission), U.S. courts rely on a multi-factor analysis. Economic gain is an important one — are you attempting to cash in on the success of the show by writing what is essentially fanfic? Because that’s something that could cause legal problems for you down the line. But despite what most people think, it’s not the only thing courts care about. There are plenty of instances of copyright infringement where the infringer didn’t make a cent. What is equally important is the nature of your use. What is the purpose of you using the idea to begin with? Are you looking to satirize the concept of reality TV dating or comment on it in some way? That changes the way a judge might look at it. Lastly, when you’re dealing with unscripted source material, depending on how fictionalized your version, you might need to acquire the life rights of the people involved. While real life events are not subject to copyright protection, their recording are. 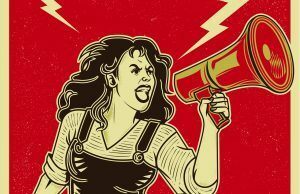 Documentaries and reality TV are not scripted and acted out in the traditional sense, but generally speaking anything that ends up on camera qualifies for copyright protection, and the people who live those events hold certain rights to their retelling. The more dramatized your telling is, the less likely you’ll need to get those life rights. Featured image photograph courtesy of ABC.